iBoysoft has generously offered us 10 licenses for this fantastic giveaway contest. These are currently valued at $69.95 each and afford a lifetime upgrade. This giveaway contest has ended . Good data recovery software should be included in any computer user’s arsenal. 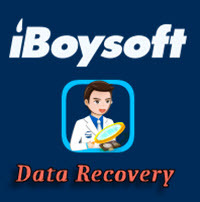 You can read all about it at this iBoysoft Data Recovery Contest page. 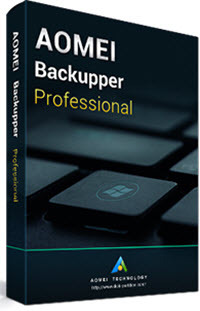 To celebrate World Backup Day on March 31st, Aomei is giving away a copy of its Backupper Pro software. This is not a contest. Simply follow the link below to get the program and use the included License to register the software (see below). “AOMEI Backupper Professional edition, an advanced backup and restore software, contains all features of the Standard edition, provides complete and reliable PC backup and restore strategies for Windows 10/8/8.1/7/XP/Vista. System Clone, Backup Scheme, Dynamic Disk Backup, Dissimilar Hardware Restore, Merge Images etc. and many useful features are available. As [a] disaster recovery solution, it will help you recover lost data and restore system effortlessly. Utilities: pxe boot tool, create bootable USB or CD/DVD, command line backup and restore, etc. This giveaway will begin on Monday, March 25 and will end on April 1, 2019. The above link will download the software and provide you with a license to register this product. Thank you, Aomei, for a great gift! 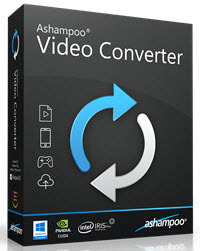 Ashampoo has generously offered DCT 10 licenses towards a giveaway contest for their Video Converter software. These licenses are valued at $39.99 US but at the time of this writing you can pick up a discounted copy for a mere $13.00. You could also enter this giveaway contest and possibly win one for free! This contest will begin on April 1 and will run through April 25, 2019. Don’t miss out on this great offer!